Are you looking for a great deal on a stylish and sporty vehicle that still looks and feels new? Then check out the current lineup of 4 CPO Mazda models for sale right now near Fenton at Eddy’s Mazda of Lee’s Summit. In addition to the manufacturer warranties and other benefits that come with buying a CPO vehicle, these vehicles also qualify for special CPO financing rates. Find out more below, check out our CPO inventory, and then make the trip from Independence to see the model of your choice! 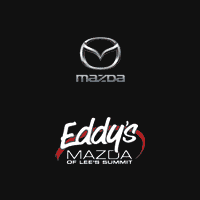 Why Buy Certified Pre-Owned Vehicles from Eddy’s Mazda of Lee’s Summit? Find out more about the Mazda CPO program with your Mazda dealership near Olathe, and count on us for updates on fun stuff to do like outdoor activities in Overland Park.